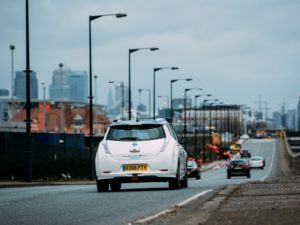 The UK government is investing £200m to bring autonomous vehicle R&D to the UK, anticipating that the first cars will reach the market within four years. Nissan is already testing autonomous vehicles in the UK. Transport secretary, Chris Grayling, said the government sees the market for autonomous vehicles being worth £28bn to the UK by 2035, and funding is aimed at encouraging companies to develop the technology here, helped by what he said is the world’s most open code of practice for testing them on the road. The investment will be match-funded by the automotive industry; £100m will be provided for R&D within the UK, and another £100m will be offered to develop virtual environments which will enable the technology to be tested off-road, co-ordinated by the government-backed, industry-led Meridian hub. An insurance framework, designed to enable end-users to insure vehicles as simply as they do today, and recover costs from manufacturers after a collision, has also been developed.